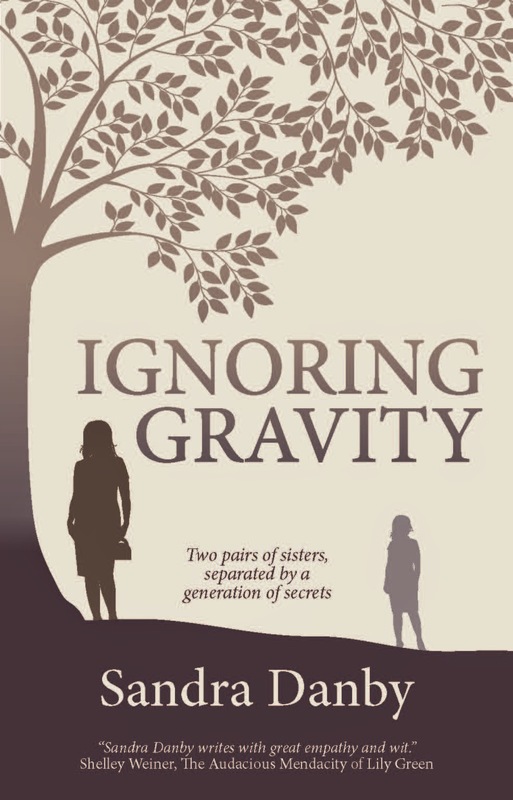 I kindly received Ignoring Gravity in exchange of an honest review by the author. From time to time it's a great change for me to accept a review request of a book I usually wouldn't pick up at the bookstore. I'm always very delighted when this book turnes out to be such a surprising, wonderful read. The book is due to be published on 21st November and is Sandra Danby’s debut novel. Rose Haldane is a young journalist, who works in London. She is single and happy with her life in Wimbledon and her cat Brad. After several relationships she was not lucky meeting her Mr. Right yet. Her sister Lily on the other hand is married and although she doesn’t admit it at first, this is not a very happy marriage. She is desperate for a baby and is trying everything to get pregnant. Lily's husband husband Wiliam is less than keen on that. Lily thinks every women is incomplete until she has a baby. Rose and Lily's mother Diana has recently passed away because of breast cancer. After her death the two sisters start to tiding up her belongings. They stumble across a set of diaries her mother had written when she was young woman. Rose and Lily get curious. They want to know how her life was like in the sixties so they start to read her diaries. Rose wouldn't have imigined that reading her mothers diaries will change her life forever. Rose found out the shocking news that she was adopted. Her world collapes and she simply doesn't know what to do. Now she knew why she always felt out of step with the Haldanes. She always liked different things, had different ambitions. Why didn't her birth parents keep her? So many questions she wanted to be answered. Then she becomes a journalist and researches her family history. Adoption in the sixities was very different. It was surrounded by secrecy which makes her research very difficult. Rose is going on an rollercoaster journey finding her real identity. What a brilliant read this was! This book really surprised me. The story is very well written. It's emontinal and very captivating. Danby is a fantastic storyteller and she knows how to really make you feel the emotions of the character. I enjoyed reading the story out of Rose and Lily's point of view. It's always interesting to get inside the characters head and find out what they are thinking. The writing style, the characters, the story, and all of twists that are thrown in make the book a delight to read. I was intrigued in the book from the very first few pages. Ignoring Gravity is a wonderful page tuner. I was rooting for Rose through the whole book. I was thrilled to finding out where she comes from, who her real parents are, what were their reason to give her away. I hardly put it down. A thoroughly enjoyable read with a really strong message! I highly recommend this book.